Thursday 27th September 7pm for 7.30pm start. 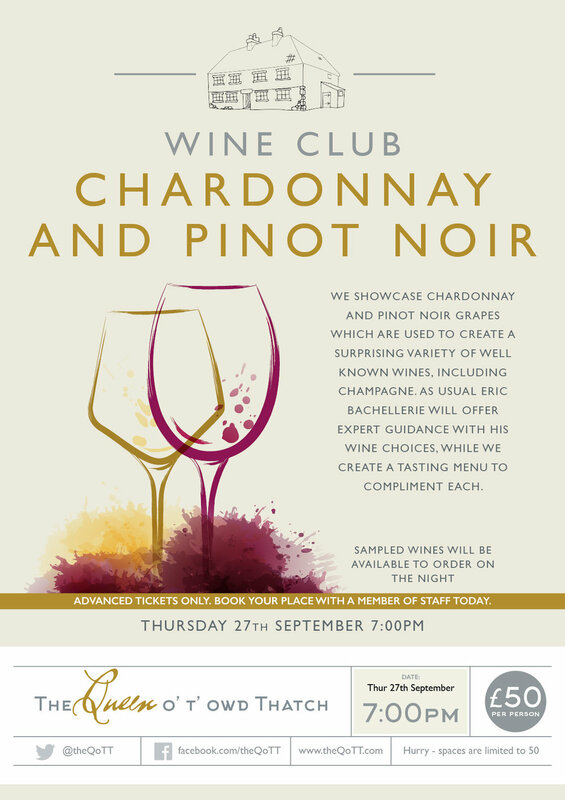 We showcase Chardonnay and Pinot Noir grapes which are used to create a surprising variety of well known wines, including Champagne. As usual Eric Bachellerie will offer expert guidance with his wine choices, while we create a tasting to menu to compliment each.